At the World Economic Forum Mexican businessman Juan Gilberto Marín Quintero drew attention to his country’s fast-paced development. Mr Marín noted that in Latin America, only Mexico and Chile had managed to implement the far-reaching reforms necessary to underpin accelerated economic expansion. While Mexico felt the effects of lower oil prices, the country still managed to register a solid 3% GDP growth. In Davos, Mr Marín emphasised that export-oriented manufacturing is doing particularly well in providing a solid basis for sustained economic growth. 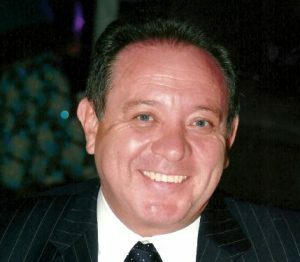 Mr Marín is the founder and President of P.I. Mabe, a fully Mexican-owned manufacturer of disposable hygienic products and at the forefront of the quest to develop 100% recyclable diapers – a goal P.I. Mabe hopes to accomplish by 2020. Mr Marín was born in Matamoros, Tamaulipas, Mexico on May 15, 1951. He obtained a bachelor degree in Business Administration from the Iberoamericana University, campus Santa Fe of Mexico City, as well as an MBA from the Instituto Panamericano de Alta Dirección (IPADE). Mr Marín also has post-graduate degrees in Commerce from the British Columbia University in Vancouver as well as in Mergers and Acquisitions from the University of Stanford. In 1977, Mr Marín founded P.I. Mabe in Puebla, Mexico. Up to this day he still leads the company as its president and chairman of the board. The company operates two modern production plants in Mexico and has sales to over 40 countries worldwide. P.I. Mabe Mexico, Valor Brands Europe, Valor Brands USA, and Maquinsa are all part of the P.I. Mabe Group. Other important companies Mr Marín has founded, and currently leads, are Seamless Global Solutions, a seamless clothing manufacturer, and Iler, a wind power generation company, amongst many others. Mr Marín is a member of the advisory board of numerous companies such as Banamex (Citibank), Telmex, Bancomext, and the University of Las Américas, Puebla. He is also a member of the World Economic Forum as well as of the G50 and is a former president of the International Entrepreneurial Council of Latin America (CEAL) and a former chairman of the Mexican National Council of Foreign Trade. Throughout his career, Mr Marín has been granted several awards such as the Business Merit Award granted by the Consejo Mexicano de Comercio Exterior Sur, the Agustín Reyes Ponce Award granted by the association of former students of the Universidad Iberoamericana and the Prix Franco Montouro business for merit, awarded by the Chamber of Commerce of São Paulo, Brazil.